This V7 is from the first type and in the first colours. 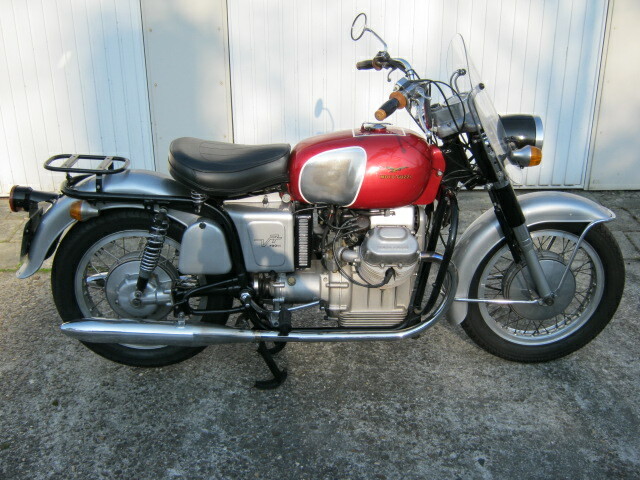 The owner has improved many things on this bike (damping of frontfork, improved brakes, en gearchange-system, other alternator, startermotor and ignition, cylinders and heads etc. etc.) All improvements are made so that they are easy to change back to original (parts are with the bike) About 26.000 km. ago the engine was totaly rebuilt, the cardan was rebuilt recently. 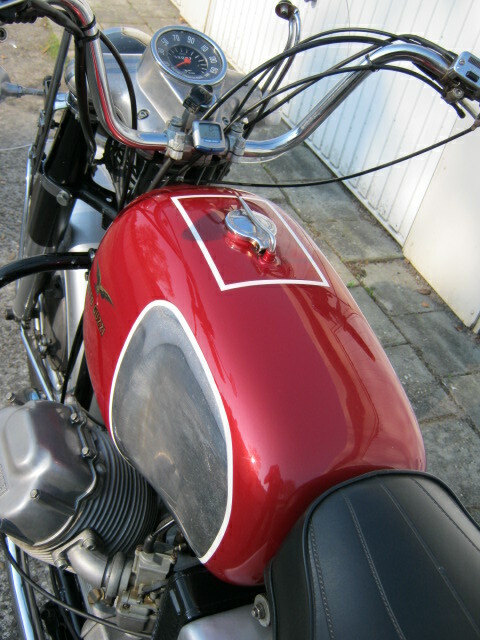 De owner has kept up a log of all work and maintainance during the longer time that he owned the Guzzi, also the bills have been kept. This motorcycle was maintained seriously and it looks very good. It rides perfect, thanks to the many improvements. Comes with a set of panniers in the same colour and a double seat. this V7 is sold for a customer and is at his home, so please call in advance if you would like to see and try it.